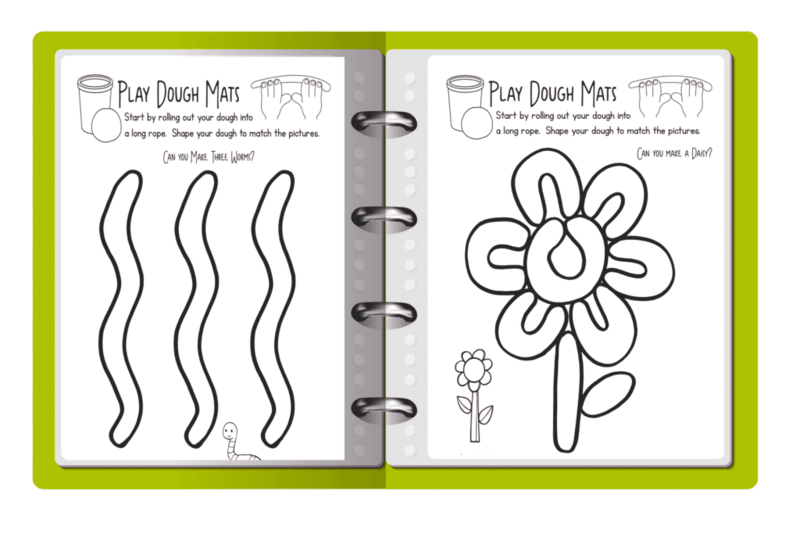 Over 70 pages of Hands-on-FUN with our Play Dough Activity Binder. 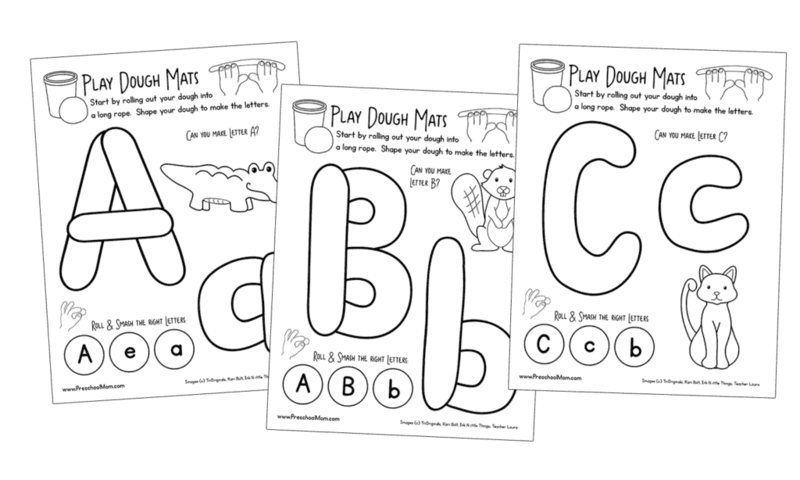 Students learn their ABC's, Numbers, Shapes and more with this creative set of a no-prep-activities. Suggested for Tots and Preschoolers who want to "do school" with their older siblings. Simply print and place inside a three-ring binder. 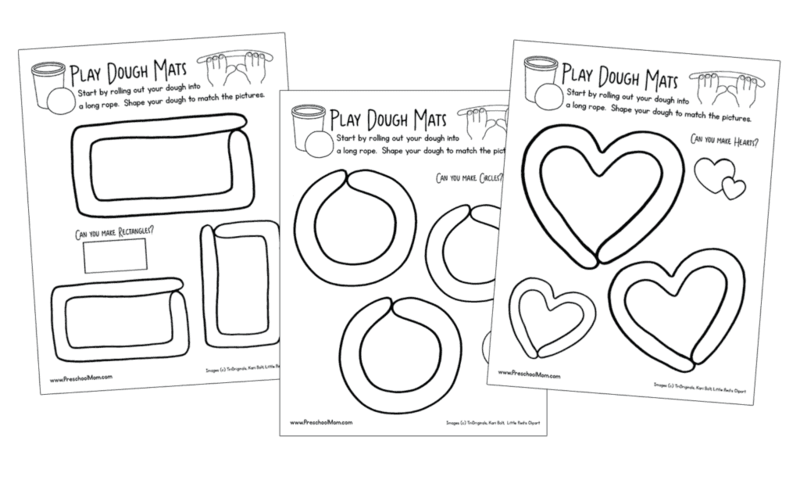 This Play Dough Activity Binder is super simple to setup. Simply print the pages in order (double-sided if desired) and laminate or insert them into plastic page protectors. We recommend using page protectors that have three holes on the side for storage in a three-ring binder. Storing pages in a binder will keep them tidy and ready to use during center activities. 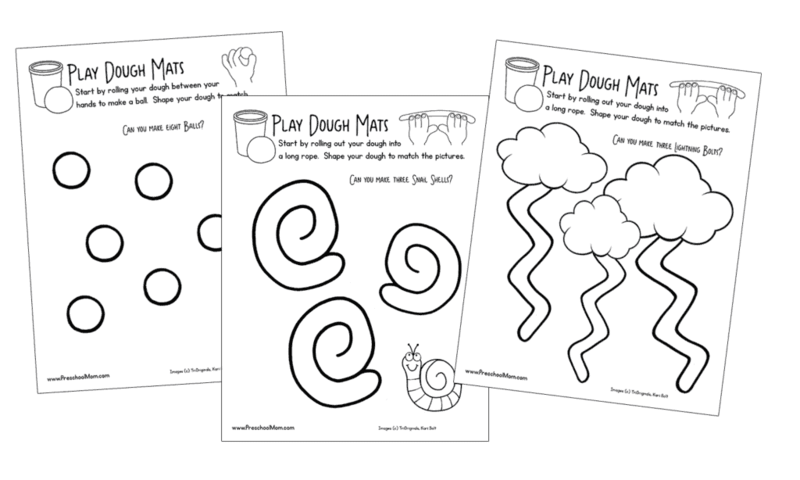 Each of these activity pages features a fun new task for students to complete. Students work on small motor control as they manipulate the dough to complete the picture. Each shape building mat features two or three shapes for students to copy. This provides students the opportunity to learn about the qualities (sides, corners etc…) of each shape. Each alphabet mat features the uppercase and lowercase letter. A beginning letter animal is pictured. Students can Roll and Smash the correct letters at the bottom. 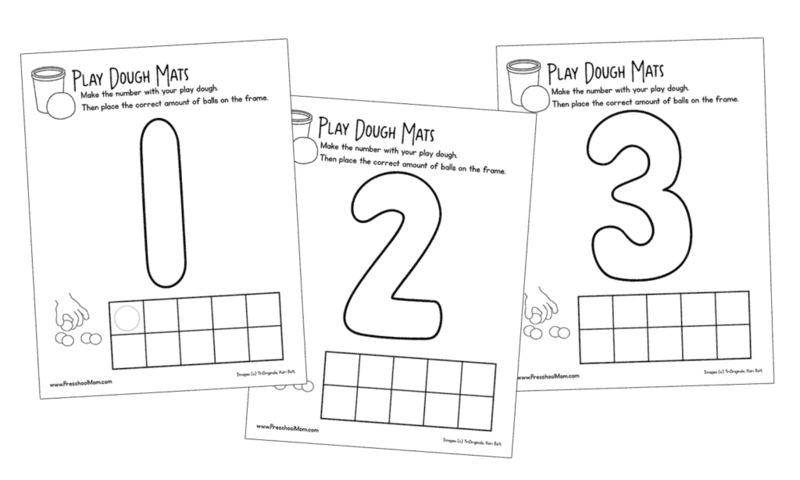 Instruct them to roll a ball of dough then smash it with their thumb on top of the correct letters. Each number mat shows students how to form the written number. Below there is opportunity to build the number into a ten frame by rolling up balls of dough. 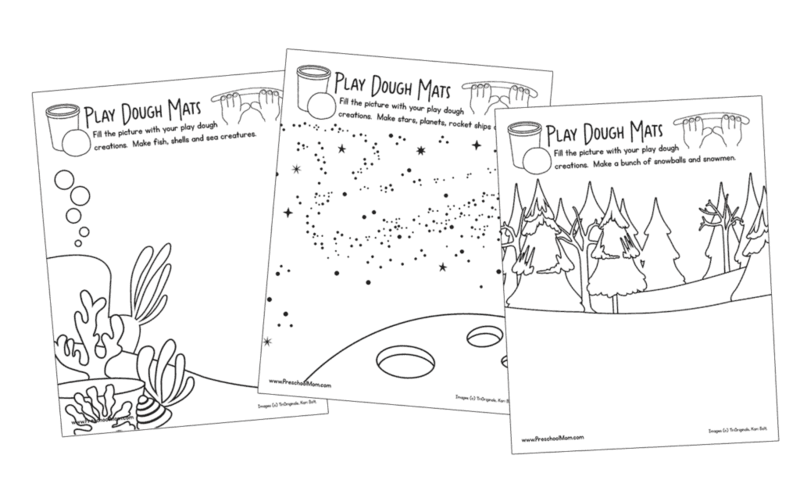 Students can build upon these thematic playdough scenes to make a creative masterpiece.